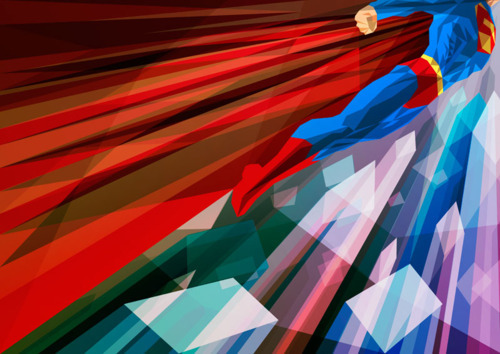 Why does all the awesome art involve Superman? There's a real trend towards abstraction in pop art, it would seem. I guess it is because Superman is the most iconic superhero around. And the colors are pretty. Think Batman will ever be like this again?